PAOLO SGARAVATTI studied Landscape Architecture from 1970 to 1974 at Thames Polytechnic in London. At the same time he gained experience working at well-known professional studios in London : first at Preben Jacobsen and then at Michael Lancaster. Since 1974 he has been a member of the “Landscape Institute” (The British association of landscape architects) and as a result has had the occasion to meet and work with leading British landscape architects including Timothy Cokran, Geoffrey and Susan Jellicoe. 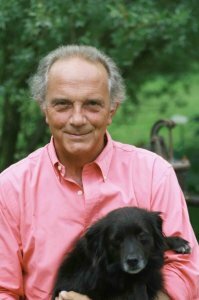 He founded a work group based in London wih some of his fellow students, John Moreland, David Stevens and Arabella Lenox Boyd, all of whom are now well-known landscape architects. On returning to Italy in 1976 he opened a studio in Padova transferring his experience from abroad and adapting the English design to the more formal Mediterranean style. – Head of the Triveneto region. 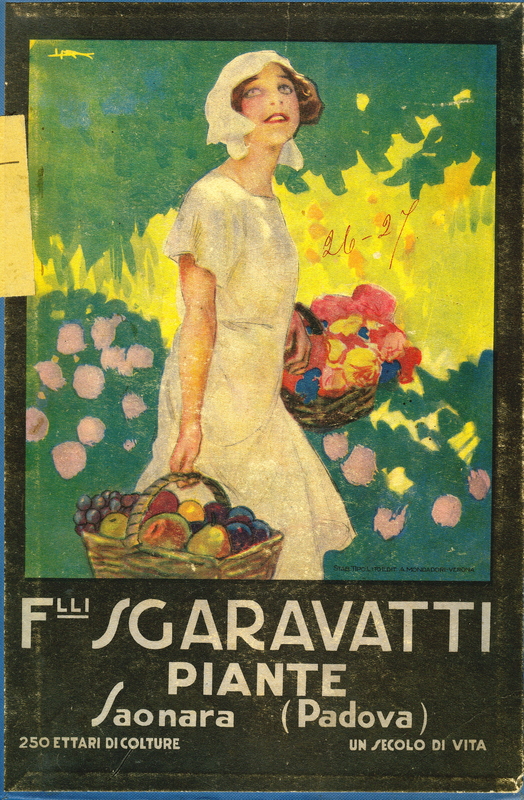 Paolo Sgaravatti has spoken at numerous conferences, contributed to specialist magazines and is a member of the group “Studio dei Giardini Storici dell’Università di Padova”. He has held landscape architecture courses for the Urbanistics department at the University of Venice, ISAD in Milan, AGFOL in Mestre and other institutes. 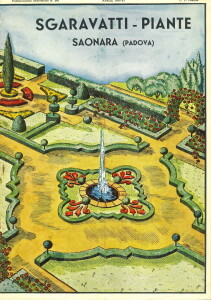 In 1990 he developed a computer programme “Green Select” to search for and select ornamental plants available on the national market and later, he developed a programme for the botanical and economic management of historical gardens. 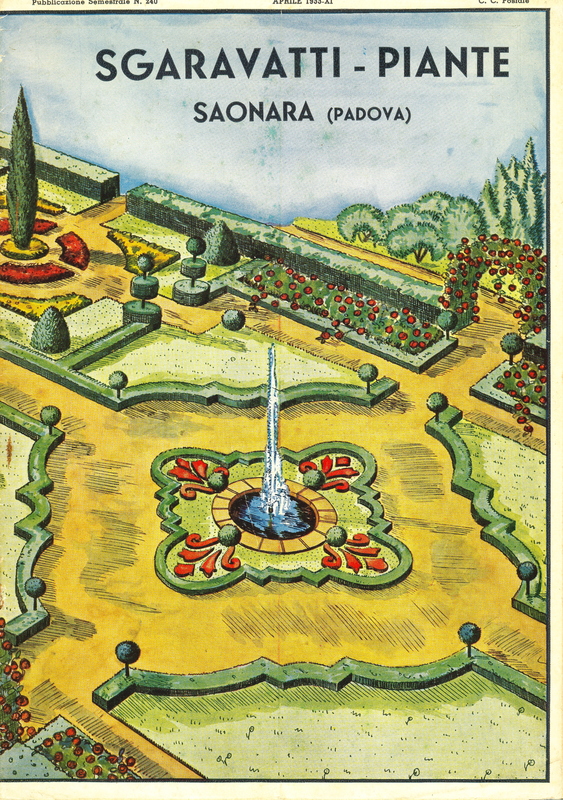 He has also written a book about the gardens in Trieste, “Trieste, i nostri giardini” edited by Vianello Libri. Berlin: The Anhalt area (3rd place) in collaboration with other professionals. Cagliari: grounds for the new C.I.S. (Credito Industriale Sardo) offices, recommendation. Banca Antoniana di PD e TS : new head offices in Padova. Cassa Rurale : new offices in Bresseo (PD). Impresa Nettis – Acquaviva delle Fonti (BA). Gruppo Pam – Silos shopping centre in Rome. Padova City Council – Feasibility study for the improvement and upkeep of the green areas along a stretch of the mediaeval city walls. Ente Regionale dei Colli Euganei – project for the up-grading of footpaths. 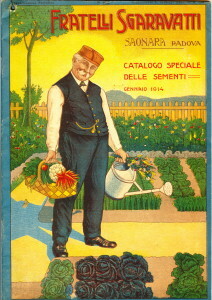 Garden at Villa di Bellosguardo on behalf of Gucci S.P.A. in Lastra a Signa (FI). Garden at Palazzo Antonini on behalf of Banca d’Italia in Udine. 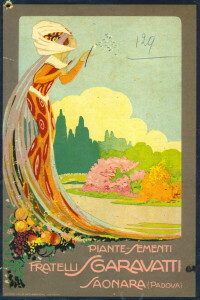 Private garden of Gabriele d’Annunzio on behalf of the Vittoriale degli Italiani in Gardone Riviera (BS). 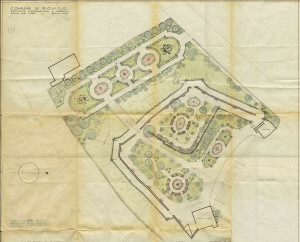 Garden at Villa Pisani and improvement of the grounds at the Scuola Guininzelli on behalf of Monselice Town Council (PD). Garden at Villa Trissino on behalf of Conte Marzotto in Trissino (VI). Garden at the Villa Comunale on behalf of Atri Town Council (TE). 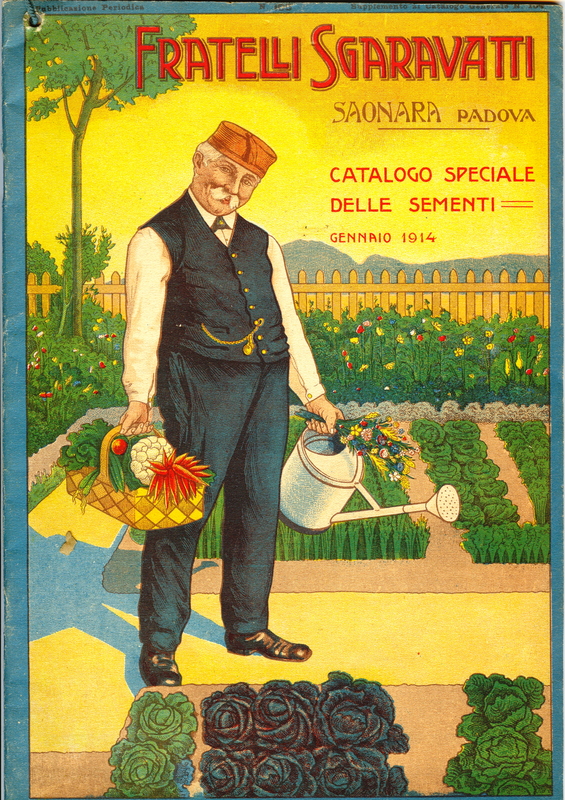 Paolo Sgaravatti comes from a family that, for generations, has been dedicated to the garden nursery. 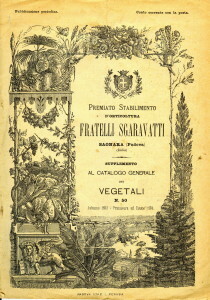 In 1787 Benedetto Sgaravatto began working as a gardener before in the park of Villa Farsetti in S. Maria di Sala then Saonara in the province of Padua in the service of Count Morosini. 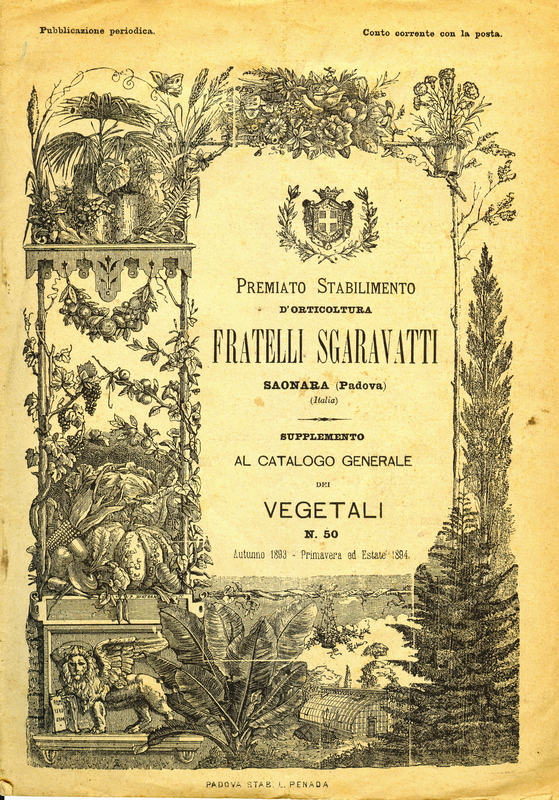 The first company “Fratelli Sgaravatti” was founded in 1820 growing to become a leader in the European market. 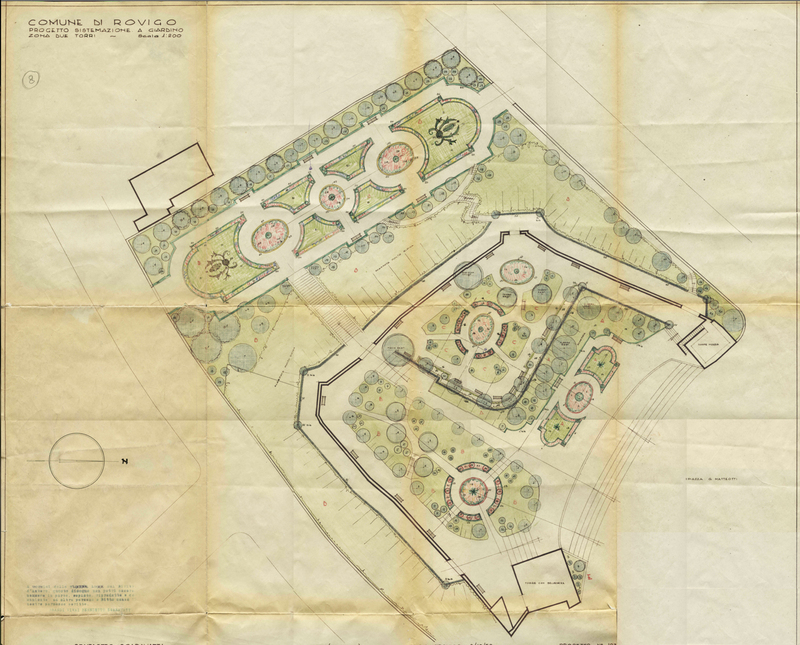 The design was entrusted to qualified landscape architects who built many parks and gardens in Italy and abroad. 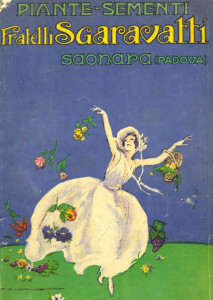 Today is preserved collection of many vintage catalogs with covers painted by famous illustrators.